There are a couple of things that I think you all should really get! Plus they are cheap and will help you with your summer wardrobe! So firstly I got another & Other Stories - Body Scrub - Méditerranéen for £7 which smells amazing and I needed it so...hehehe. 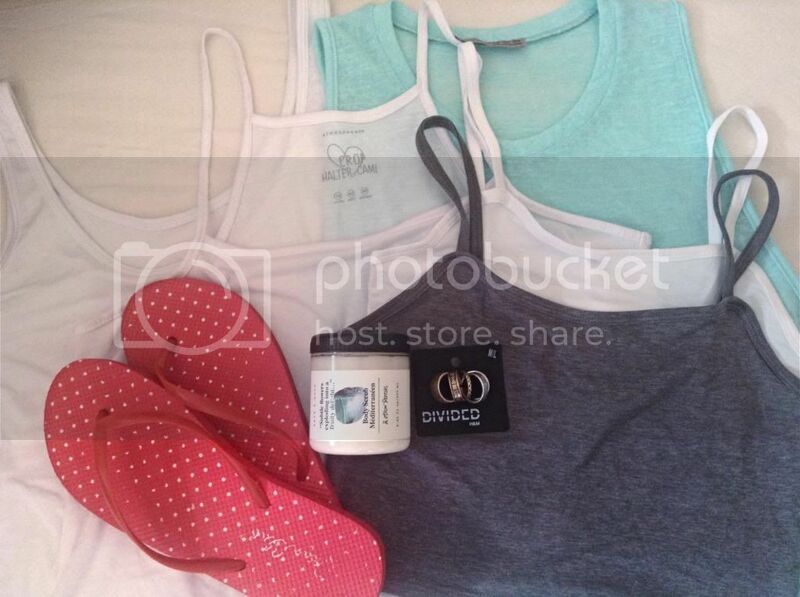 From Primark I got a White Tank Dress for £3.50, A Crop Halter Cami for £2.50, a Turqoise Sheer Vest for £4 (I have been using this non stop!) and Polka Dot Red Flipflops for £1. And from my faveourite store H&M I got 3 (although I there's only two here as I got it afterwards) Crop Cami Tops for just £1.99 each! I got one in Grey, Black and White. Although I recommend you get 2 sizes down (I got a Small and am usually a Large). Lastly some Jewellery of course! I actually got this set of stackable Aztec/Tribal looking rings for £3.99 and another for £1.99 (which like the Cami Top I got afterwards but just keep your eyes out for nail posts as I know I'll be wearing it a lot! Oh I haven't seen their Winter Coat Collection!! I saw this one coat from Marks & Spencer that if I wasn't broke I'd desperately want! !